Hello Ladies and Gentlemen! Can you guess what time it is? Yes! It’s Friday Fictioneer time again my friends. That time of the week where countless writers get together to write a story or poem from one picture. That time of the week where countless readers get to enjoy the numerous writing efforts of talented people who try to string 100 words to make a complete story. Come one, come all to this tremendous, trendy treat of the week! Our ring mistress is none other than the famous Rochelle Wisoff-Fields, who with a firm yet gentle hand guides us in this mighty endeavor. Please click on her name to join us! Thank you for your participation! Here is my story, all comments are appreciated! Why did he ever come to this backwater world anyway? Mikal thought to himself as he finally spotted what he needed. ‘See the sights, broaden your horizons’, his friends told him. Now all he wanted to do is go back to his nice modern world. He was so tired of trying to use such outdated ancient contraptions! In this world one had to use a device called a “phone”. They also had to pay for this privilege! Mikal dropped in his antique metal money and dialed a long number. A short moment later there was a bright light above him and he was teleported home. Very good use of this ‘old’ device! Nice story! They must be truly advanced indeed, darling, to make a broken telephone into a transporter. Well done. Nice story. Just think the younger generation may never know what a pay phone looked like. I thought about that also, I remember when they were at almost every corner. Now you have a hard time finding them. How things change huh? Only 50 cents to be transported! That’s got to be the deal of the century. We had a rotary dial phone in one room for many years and some of the girls’ friends apparently didn’t know what it was. Sigh. I had an old rotary phone for a bit, just because it was fun I thought. Don’t even remember what happened to it. Ex probably got it, he got everything else. 😉 You certainly don’t see them much anymore. So no doubt a kid wouldn’t know what it was. Great story – love the genre choice. Very creative as usual! What’s the long number? This gives new meaning to E.T. phone home. Nice blend of old-time convention with futuristic sci-fi. I enjoyed it. Also thought of ET when I saw the prompt. You have found a Sci Fi fan…loved the ending. Just last week I saw the new Star Trek Movie. Thanks for your visit. 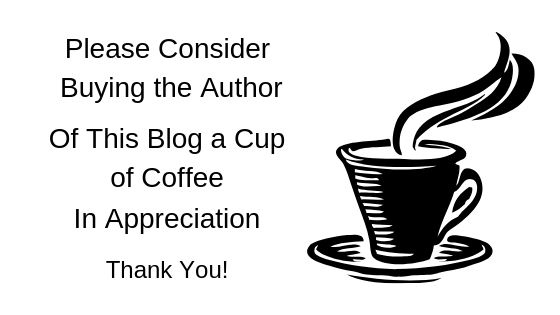 I like the idea of Flash Fiction and have written pieces for some of my other friends blogs too. Just because I like the photos. Cheers – this icon goes to my short poetry blog. Glad you found my story blog. Good sci fi twist to something better than driving. Very neat and well written. A lot in a few words. Pay phones. 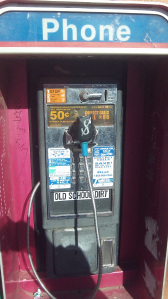 Seems like just yesterday, we were always carrying around a little change for the pay phone. A dime or two. We were mad when they went to a quarter! Oh for the good old days.